How Deep Are Our Thoughts? F or our first anniversary, my wife and I went on a trip through the Southwest, seeing Sedona, Albuquerque, Santa Fe, Taos and Los Alamos. 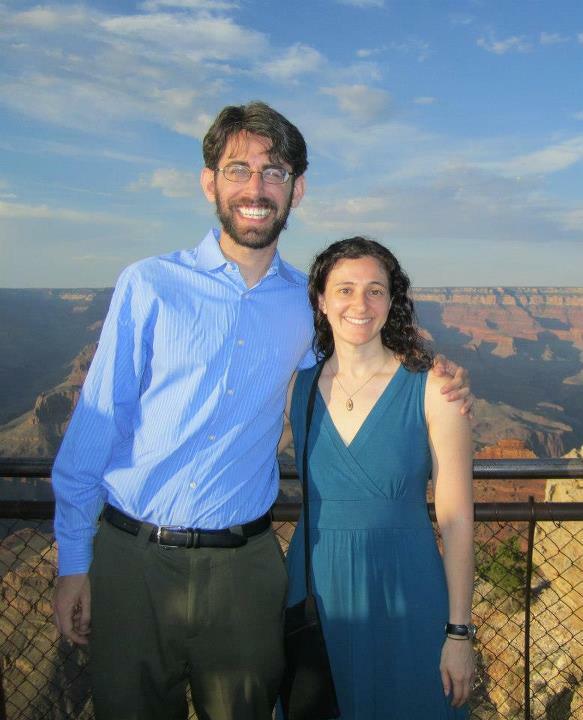 But the highlight for us was walking up to Mather Point at the Grand Canyon as Friday evening turned into Shabbat. Obviously, exclaiming “how great are Your works” was a natural reaction to having seen something as impressive as the Grand Canyon. But in truth, the word I couldn’t get out of my head was “deep.” The majesty of nature often inspires awe, and the “go-to” images are often sunsets, beaches and mountains. But what makes the Grand Canyon so mind-blowing is how you can see the intricacies of the layers of rock, and you realize that every time you see it from a new angle or at a different time of the day, you see something brand new. It is amazing to me that something as complex as the Grand Canyon was the result of the flow of the Colorado River. And the Yavapai Geology Museum explained how that could happen. A placard in the museum noted that while rocks are imposing, impressive and seemingly eternal, they are no match against the power of water. Instead, it is the persistence of water deepens what we able to see. This immediately reminded me of the story about Rabbi Akiva, one of the greatest scholars in Jewish history. According to legend, by the age of 40, he had not learned anything. One time he was standing at the mouth of a well, and asked “Who hollowed out this rock?” He realized that it was the constantly dripping of water, and so he said to himself: “Just as the soft [water] shaped the hard [stone], words of Torah — which are as hard as iron — all the more so they will shape my heart which is but flesh and blood.” (Avot de Rabbi Nathan 6) In other words, a slow accumulation of knowledge deepened his learning, and deepened his ability to understand. So when the Psalm says “how very deep are Your thoughts,” it teaches us how important it is to “think deeply” about things. It is far too easy for us to skim headlines and ignore context, to regurgitate ideas without considering them critically, and to find support only for perspectives we already buy into. Instead, we have a responsibility to go in depth. And when we do, we have an opportunity to continually discover more nuance, more complexity, and more beauty than we ever could have imagined. You guys are so cute J Alyson and I made that trip back in 2006 and had a blast. I’m so glad you’re happy – may it continue!